Morning Star Catholic School welcomes all children regardless of race, creed or religious affiliation. Many with advanced degrees who receive ongoing staff development. Every child learns valuable skills through the use of the latest learning technology. Our students participate in select Bishop Moore Catholic High School and St. Charles Borromeo Elementary School classes based on individual ability. Our comprehensive program helps provide the best opportunities for students once they graduate. Scheduled field trips to museums, theatrical performance and more. We partner with community organizations such as Winter Park Health Foundation, Nemours, Planet Fitness, and Youth Basketball of America to provide our students with the best environment possible. Our campus is access-controlled and professionally staffed.  Morning Star Catholic School is fully accredited by the Florida Catholic Conference. Most students will qualify for financial assistance through grants, including the McKay Scholarship Program, Step Up for Students and Personal Learning Scholarship Accounts (PLSA).